@Megaface... Trophy Mage is precisely three mana not three mana or less. This is a deck I've been wanting to see for a long time. Though looking through it wouldn't Trophy Mage be better than Trinket Mage allowing you to tutor for 3 or less than 1 or less? 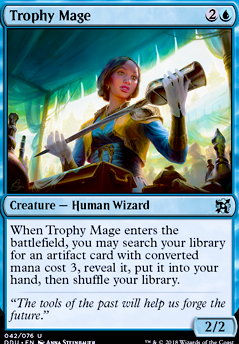 Thoughts on Trophy Mage for the staff and Long-Term Plans ? jordanalessi on Fblthp - Look Ma, no creatures!! You're gonna have to rename this deck, bc it needs Trophy Mage . 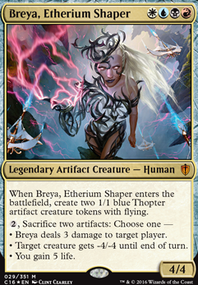 it's a shame Trophy Mage can't be run, it would provide another tutor for the Proteus Staff . 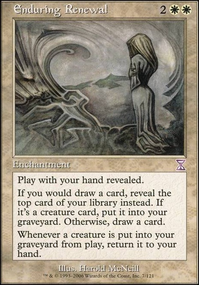 LabManiac_Sigi, is the main plan for the staff/fblthp combo to grab dramatic-scepter right away? 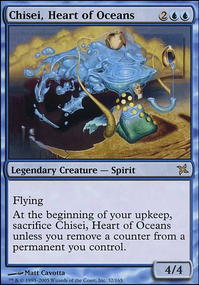 or would it start out like a DD pile most of the time so as to have enough mana? oh, and one more question--I personally would want a good back-up win-con if Stroke loops get cut off. 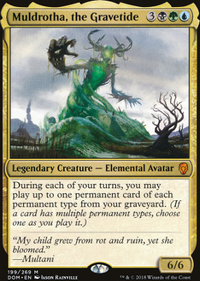 do you think the new Jace is good enough for that, or would he be too much of a dead draw outside of the combo?